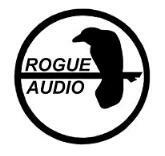 We are quite excited to announce Rogue Audio as the latest addition to our carefully selected hi-fi lineup. Rogue has become well known for manufacturing very high quality tube-based gear at very affordable prices. We welcome you to visit our showroom and audition these great American-Made tube amps and pre-amps, with speakers from Magnepan, Revel, KEF, Dynadio, Focal and more. Or, feel free to bring in your own speakers / equipment and see how they can sound with Rogue Audio. Rogue products are proudly made in Pennsylvania! Northcoast Audio is proud to be an authorized dealer for the best names in home audio speakers today, Including Danish made loudspeakers from Dali and Dynaudio, The famous KEF speakers from the UK, Revel speakers, JL Audio Subwoofers, The world renown American made Magnepan Magneplanar speakers as well as local favorites JBL and Boston Acoustics. We are proud to have the best selection of speakers in northhern California. We do not sell out of our local area unless you have visited our showroom. Buy local - support your local independent audio video specialist!